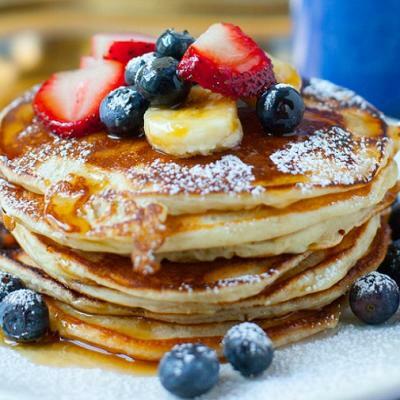 A delicious weekend breakfast option. 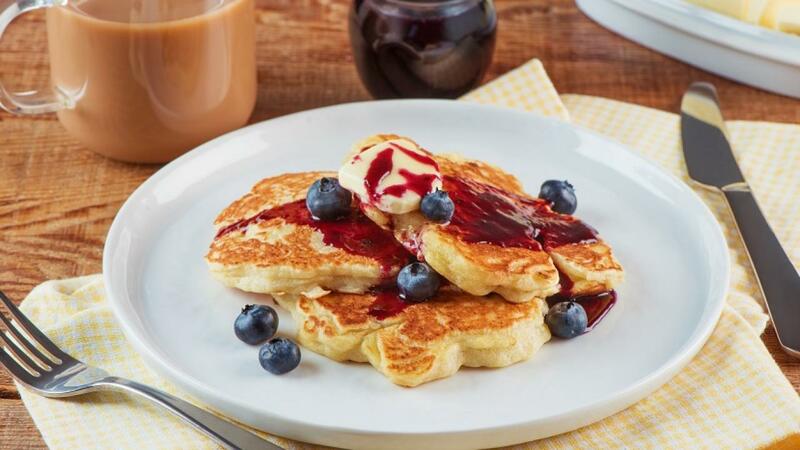 The sweet blueberry sauce is the perfect accompaniment for these golden zingy hotcakes. In a medium bowl, whisk together whole eggs, ricotta, butter, sugar, lemon zest, and salt until smooth. Stir in flour just until combined. In another bowl, whisk egg whites until stiff peaks form. Using a spatula, gently fold whites into batter until well combined. Set a greased, large non-stick skillet over medium heat. 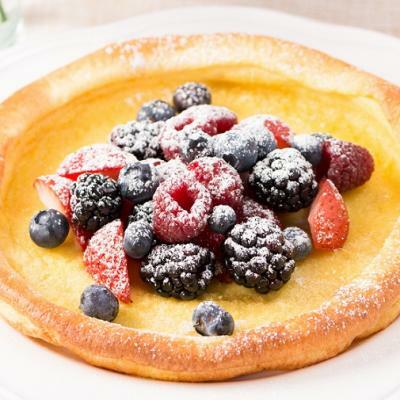 Drop in heaping tablespoons of batter to form small, round hotcakes. Cook until golden, about 1 1/2 minutes per side. 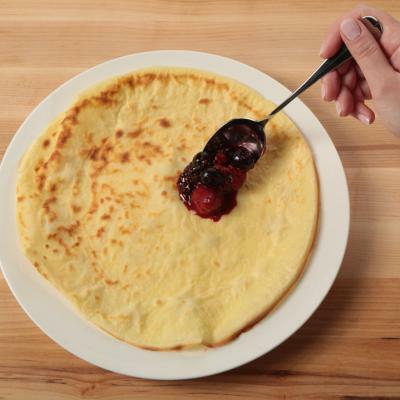 Serve hotcakes warm with Blueberry Syrup. In a medium saucepan, combine all ingredients. Bring to a boil over medium high heat, then reduce heat to low and simmer, stirring occasionally, until blueberries are very soft. Remove pan from heat and, using a potato masher, mash blueberries. Strain mixture through a fine-mesh sieve set over a bowl. Discard blueberry pulp. Pour syrup into an airtight container and refrigerate.